When summer arrives, people get ready to go on picnics. 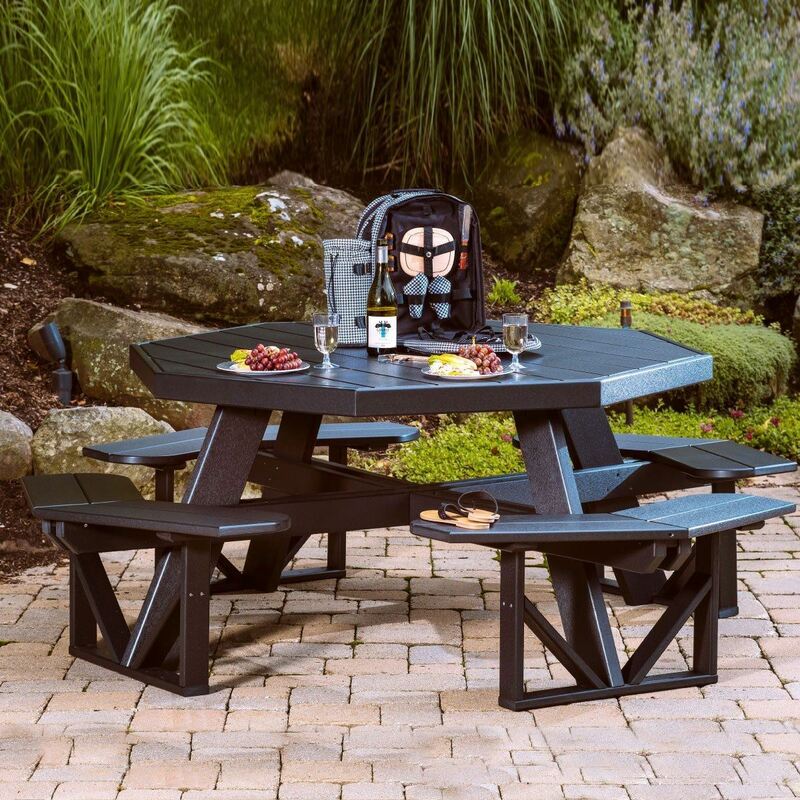 And there’s no better way to do so than on our Octagon Picnic Table – a terrific addition to your backyard or to any public park or campground. Seating eight comfortably, this combined bench and table arrangement will help you mark holidays and celebrations right in the middle of nature. What could be better? Standard with Umbrella Hole and Umbrella Stabilizer Block to prevent your umbrella from twisting and turning on days with a nice summer breeze.